Mehrotra, P., Jamwal, S. V., Saquib, N., Sinha, N., Siddiqui, Z., Manivel, V., Chatterjee, S. and Rao, K. V. (2014). Pathogenicity of Mycobacterium tuberculosis is expressed by regulating metabolic thresholds of the host macrophage. PLoS Pathog 10(7): e1004265. Singh, V., Jamwal, S., Jain, R., Verma, P., Gokhale, R. and Rao, K. V. (2012). Mycobacterium tuberculosis-driven targeted recalibration of macrophage lipid homeostasis promotes the foamy phenotype. Cell Host Microbe 12(5): 669-681. Jailkhani, N., Ravichandran, S., Hegde, S. R., Siddiqui, Z., Mande, S. C. and Rao, K. V. (2011). Delineation of key regulatory elements identifies points of vulnerability in the mitogen-activated signaling network. Genome Res 21(12): 2067-2081. Kumar, D., Nath, L., Kamal, M. A., Varshney, A., Jain, A., Singh, S. and Rao, K. V. (2010). Genome-wide analysis of the host intracellular network that regulates survival of Mycobacterium tuberculosis. Cell 140(5): 731-743. Jayaswal, S., Kamal, M. A., Dua, R., Gupta, S., Majumdar, T., Das, G., Kumar, D. and Rao, K. V. (2010). Identification of host-dependent survival factors for intracellular Mycobacterium tuberculosis through an siRNA screen. 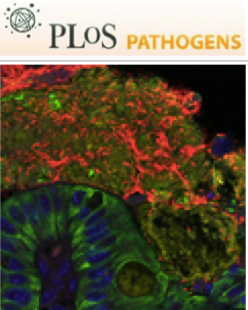 PLoS Pathog 6(4): e1000839. Kumar, D., Srikanth, R., Ahlfors, H., Lahesmaa, R. and Rao, K. V. (2007). Capturing cell-fate decisions from the molecular signatures of a receptor-dependent signaling response. Mol Syst Biol 3: 150. George, A. A., Sharma, M., Singh, B. N., Sahoo, N. C. and Rao, K. V. (2006). Transcription regulation from a TATA and INR-less promoter: spatial segregation of promoter function. EMBO J 25(4): 811-821. Sethi, D. K., Agarwal, A., Manivel, V., Rao, K. V. and Salunke, D. M. (2006). Differential epitope positioning within the germline antibody paratope enhances promiscuity in the primary immune response. Immunity 24(4): 429-438. Singh, D. K., Kumar, D., Siddiqui, Z., Basu, S. K., Kumar, V. and Rao, K. V. (2005). The strength of receptor signaling is centrally controlled through a cooperative loop between Ca2+ and an oxidant signal. Cell 121(2): 281-293. Manivel, V., Bayiroglu, F., Siddiqui, Z., Salunke, D. M. and Rao, K. V. (2002). The primary antibody repertoire represents a linked network of degenerate antigen specificities. J Immunol 169(2): 888-897. Chaturvedi, A., Siddiqui, Z., Bayiroglu, F. and Rao, K. V. (2002). A GPI-linked isoform of the IgD receptor regulates resting B cell activation. Nat Immunol 3(10): 951-957. Manivel, V., Sahoo, N. C., Salunke, D. M. and Rao, K. V. (2000). Maturation of an antibody response is governed by modulations in flexibility of the antigen-combining site. Immunity 13(5): 611-620.